The board started to work on the 21st of March. The chairperson is Gísli Þór Magnússon from Iceland. 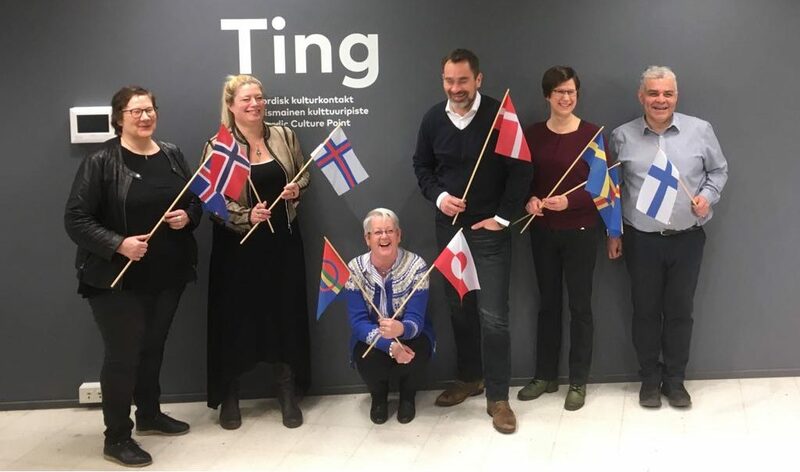 The board of the Nordic Culture Point consists of representatives from all of the Nordic countries and the autonomous regions. The mandate period is two years. The members are the Executive Director Tove Ekman from Finland, Theatre Director Jenny C. Petersen from the Faroe Islands, Programme Director Kim Larsen from Greenland, Head of Department Gísli Þór Magnússon from Iceland and Head of Region Sohrab Fadai from Sweden. The staff is represented by the Grant Programme Advisor Turið Johannessen. The substitutes are the Head of Department Ringmor Duun Grande från Norge, Museum Director Ulla Schaltz from Denmark and Planner Göran Jansson from Åland. At the first meeting the board discussed amongst other things how it can support the work of the institution in the best possible way. In addition, the board got acquainted with the annual report of the previous year and met the staff of the institution. “The aim of Nordic Culture Point is to reflect the Nordic cultural field and carry out the guidelines of the culture ministers and the Nordic Council of Ministers in practice. The board can help the institution for example in interpreting the guidelines. This requires strategic planning and is of course always interesting”, says Gísli Þór Magnússon.